The Bar Collection is Leopold Vienna's own unique design! Beautifully shaped whisk for mixing cocktails. Crafted in matt stainless steel with plastic handle. The Bar Collection is Leopold Vienna's own unique design! This fine mesh bar strainer is a useful aid when preparing cocktails. The strainer is crafted in matt stainless steel. The Bar Collection is Leopold Vienna's own unique design! This fine mesh strainer is a useful aid when preparing cocktails. 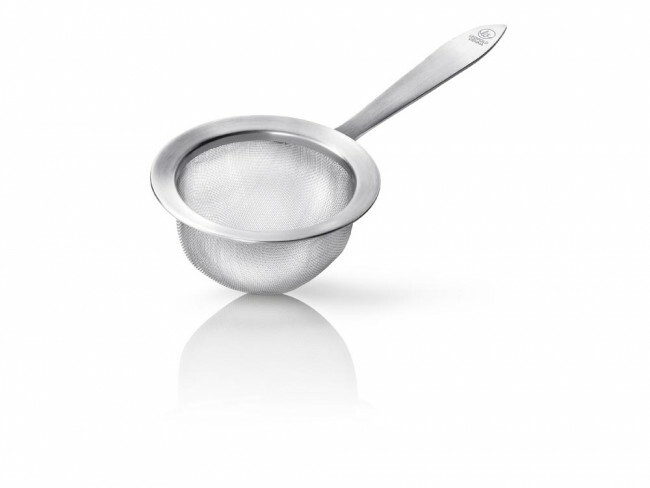 The strainer is crafted in matt stainless steel.